Draft: 1997, Minnesota Twins, 1st rd. Michael Brent Cuddyer (pronounced cuh-DIE-er)...wife Claudia (Rente)...son Casey Jonathan, born 6/20/08, and twin daughters Chloe and Madeline, born 12/6/11...1997 graduate of Great Bridge (VA) High School where he also played basketball and football...named to All-State baseball team during junior and senior seasons...set school records for home runs (12), hits (34), and RBI (47) in his junior season...was Virginia's Player of the Year, Gatorade Player of the Year and selected to USA Today's All-Star team in 1997...played for USA Junior National Team in 1996-97...was high school teammate of Boston's 1997 first round draft pick John Curtice...dedicated time and service on the Twins Community Fund Board of Directors...was 2006 Carl R. Pohlad (Outstanding Community Service) and Charles O. Johnson (Most Improved Twin) Award winner and the Twins nominee for the Roberto Clemente Award...helped secure $250,000 grant through the Pepsi Refresh Project to benefit the Rolling Twins and Courage Center. Spent his third season in Colorado but played in 49 games due to multiple disabled list stints...It was his fewest games played since 2003...On the Disabled List three times...Missed 25 games, April 21-May 20, due to a left hamstring strain...Missed 60 games, June 8-August 16, with a left shoulder fracture and missed 14 games, August 23-September 8, with a left hamstring strain...Began season with a 10-game hit streak, March 31-April 9, batting .415 (17-41) during the run...Was a career-best streak to start a season...Hit for the seventh cycle in Colorado history, and the second of his career, on August 17 in Game two vs. Cincinnati (triple, home run, single, double)...His other cycle came with Minnesota on May 22, 2009 vs. Milwaukee...Became the 26th player in major league history with multiple cycles, and the third big leaguer to have a cycle in each league...Hit a home run in a career high-tying three straight games from September 18-September 21...Done two times previous...Set a career-high with seven RBI on September 19 vs. Arizona...Finished 3-5 with a grand slam (off Eury De La Rosa) and three runs scored...The grand slam was the eighth of his career...Finished his Colorado career, batting .307 (318-1,037), the eighth-highest mark in franchise history (minimum 1,000 at-bats). 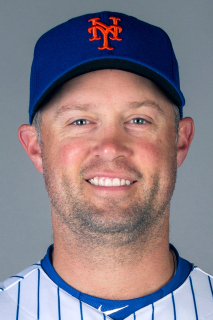 In his second season with Colorado, Cuddyer was named to the 2013 All-Star team, participated in the Home Run Derby, had a career-long 27-game hitting streak, won the National League batting title by hitting a career-high .331 and finished 5th in the NL with a .919 OPS... The All-Star selection was his 2nd (also 2011 with Minnesota)...he started the game as the NL's DH, one of three Rockies to start the 2013 game (club record), as he joined Troy Tulowitzki and Carlos Gonzalez, who were voted starters by in the fan vote...the Home Run Derby selection was the first of his career... In addition to batting average, Cuddyer led the 2013 Rockies in hits (162), doubles (31) and RBI (84)... Cuddyer became the sixth Rockies player to win the National League batting crown, as his league best .331 average is 47 points higher than his previous career-high of .284 (in 2006 and 2011)...Cuddye joins Andres Galarraga (1993), Larry Walker (1998-99, 2001), Todd Helton (2000), Matt Holliday (2007) and Carlos Gonzalez (2010) as Rockies to win the NL single-season batting title... In addition to his batting average, Cuddyer also set career-high marks in on-base percentage (.389), slugging (.530) and OPS (.919)...Cuddyer hit .330 (94-for-317) prior to the break and .333 (68-for-204) after the break... The NL's leading hitter proved a tough out in virtually every situation, as shown in his situational splits breakdown: .337 AVG with none on, .356 with none on/none out, .325 with runners on and .333 with runners in scoring position... Had the Major's second-longest hit-streak (Denard Span 29-game streak), as he hit safely in 27-consecutive games from 5/28-6/30, which set a new franchise record...also set a new franchise record by reaching base safely in 46-straight games 4/23-6/30... Cuddyer split his time between right field (118 games) and first base (15 games) in 2013...he is a versatile defender that has played Major League games at every position other than catcher and shortstop; including: first base (251 games), second base (79), third base (171), left field (9), center field (6) and right field (862)... 2013 marked the fifth time in his career to post a .800-plus OPS (.389, .530)... 2013 was his 5th career 30-double season and 4th 20-HR season... Named the Rockies nominee for the 2013 Hank Aaron Award. Was a staple in the middle of Colorado's batting order from the beginning of the season through July...suffered strainedright oblique on 7/31 and played in just three games after the injury...finished season on 15-day DL. Despite missing the final two months of the season, 2012 marks his fourth career 30-double season (30 2B in 2012),and fifth career 15-HR season (16 HR in 2012)...at the time of his injury, he ranked second on the club in doubles, extrabase hits (47), home runs (15) and RBI (56), as only Carlos Gonzalez had more in each category. Spent majority of 2012 in right field (74 games, 68 starts)...however, he played extensively at first base (26 games, 24 starts) following Helton's injury. Had two multi-home run games in 2012, and now has eight career multi-home run games...had 2 HR 6/13 vs. OAK and7/24 at ARI...on 6/13 vs. OAK he tied his career-high in hits (4) and total bases (11) by going 4-for-4 with a double, 2homeruns, and 3 RBI. Along with Todd Helton, was one of two Rockies with two grand slams (5/5 vs. ATL and 5/30 vs. HOU)...now has 7 careergrand slams. His 25 doubles prior to the All-Star break were tied for the 4th-most in the NL...had 38 extra-base hits prior to thebreak as well, which ranked T-11th in the NL. Named the Rockies nominee for the Roberto Clemente Award...the award pays tribute to Clemente's achievements andcharacter by recognizing current players who truly understand the value of helping others. Started the season with a five-game hitting streak...drove in the first run in Target Field historywith an rbi-single, April 12 vs. Boston...Homered in consecutive games, April 14-15 vs. Boston...had back-to-back three-rbi games,April 15 vs. Boston and April 16 vs. Kansas City...Hit his 110th career home run, tying Roy Smalley for 11th place on the Twins All-Time homerun list, April 21 vs. Cleveland...passed Smalley on May 3 vs. Detroit, hitting the 111th of hiscareer, moving into sole possession of 11th place...Hit .309 (29-for-94) with three home runs and 18 rbi in 23 April games...Tied a career-high with three walks, May 21 vs. Milwaukee and May 30 vs. Texas...Played 77 games at first base, July 7-October 3, in Justin Morneau's absence (concussion),batting .281 (85-for-302) with 19 doubles, seven home runs 45 rbi and 47 runs scored...Hit safely in a career-high 15 straight games, batting .349 (22-for-63) with four doubles, onetriple, one home run and eight rbi, July 16-31...the 15 games also marked a team-high in 2010...Finished July batting .317 (33-for-104) in 26 games...scored his 500th career run, July 24 at Baltimore...Collected his 900th career hit, August 5 at Tampa Bay...became the 10th player in club history with 200-plus doubles in a Twins uniform,August 10 vs. Chicago (AL)...Hit safely in 12 consecutive games, August 26-September 7...drove in eight runs and scored 11 during that span...Was tied for eighth in the American League with 20 rbi in August...Tied Roy Smalley for 10th place on the Twins All-Time rbi list with the 485th of his career, August 18 vs. Chicago (AL)...passed Smalley andmoved into sole possession of 10th place with his 486th career rbi, August 21 vs. Los Angeles (AL)...Collected his 500th career rbi, September 5 vs. Texas, becoming the 10th Twin in club history to reach 500-plus rbi in a Twins uniform...Homered in back-to-back games, September 19 and 20 vs. Oakland...Became the 15th player in Twins history to play in 1,000 career games, October 3 vs. Toronto...His seven home runs at Target Field were the third-most by a Twin (Jim Thome - 15, Jason Kubel - 8)...Was given the Bob Allison Leadership Award (second consecutive) and Mike Augustin Award for "Media Good Guy," voted on by the TwinCities chapter of the BBWAA. Hit his first home run, April 16 vs. Toronto...seven-game hit-streak, going 10-for-22 (.455), April 28-May 5...homered in three of four games, May 18-22, including homers in three consecutive games, May 20-22 with 10 RBI in those three...had back-to-back four-hit games, May 21 at Chicago (AL) and May 22 vs. Milwaukee when he hit for the cycle, becoming the second Twin to accomplish that feat in 2009 (Kubel, April 17 vs. LAA)...Kubel and Cuddyer became the first teammates to hit for the cycle in the sameseason since Vladimir Guerrero and Brad Wilkerson of the Expos in 2003...batted .312 (34-for-109) with eight home runs, 26 RBI and 23 runs scored in May...recorded four straight two-hit games, June 16-19...third four-hit game of season, July 20 at Oakland...went 4-for-5 with two home runs, three RBI and three runs scored, August 9 at Detroit...became the first Twin to hit two home runs in one inning, August 23 at Kansas City...fifth career two-homer game (third of the season), September 1 vs. Chicago (AL)...moved from right field to first base, September 13 when Justin Morneau went out for the season with a back injury...named American League Player of the Week, batting .292 (7-for-24) with two doubles, five runs scored, 11 rbi, fourmulti-rbi games and a slugging percentage of .875 in six games, September 14-20...hit 100th career homer, September 14 vs. Cleveland...hit his 30th home run of the season, September 25 at Kansas City...was named the Pepsi Major League Baseball Clutch Performer of the Month for September...hit his 32nd and final home run of the season, October 4 vs. Kansas City...set a Twins monthly record in September/October with 29 RBI between the two months...finished tied for sixth in the American League in extra-base hits (73), ninth in total bases (306), 10th in home runs (32), and 15th in slugging percentage (.520)...was one of 14 players in the Majors this season with over 150 hits, 30 doubles, 30 home runs, 90 runs scored and 90 RBI...he is also one of just six Twins in club history to accumulate those numbers...was given the Charles O. Johnson Award for Most Improved Twin and the Bob Allison Award for leadership and determination by the Twin Cities Baseball Writers Association. Hit safely in eight consecutive games, going 11-for-30 (.367), April 4-May 3...disabled with dislocated and lacerated right index finger, April 5-24...recorded two outfield assists, April 25 at Texas...hit safely in six of seven games, going 9-for-26 (.346), May 7-13...was 14-for-37 (.378) in eight games, May 25-June 2...had two outfield assists for the second time, May 30 vs. New York (AL)...disabled with strained tendon in left index finger (retro to June 28), June 30-September 13...began rehab assignment at Triple-A Rochester, August 5...suffered a fracture of the second metatarsal on the left foot during a rehab game at Triple-A Rochester, August 8...reinstated from disabled list, September 13...started at D.H. September 15 at Cleveland...went 1-for-3 with a double in the tie-breaker game on September 30 at Chicago (AL), one of just two Twins hits. Had seven-game hit-streak, going 11-for-25 (.440), April 4-12...hit safely in 10 consecutive games, going 13-for-42 (.310), April 14-24...homered in consecutive games, May 13-15 and May 25-26...was 13-for-25 (.520) in seven games, May 25-June 1...third career four-hit game (first of season) and third career five-rbi game, May 26 vs. Toronto...finished the month of May with a .430 on-base percentage...tied season-high 10-game hit-streak, going 13-for-40 (.325), June 9-19... was 10-for-21 (.476) in six games, July 6-14...fourth career four-hit game (second of season), July 12 vs. Oakland...fifth career four-hit game (third of season), July 18 vs. Detroit...placed on 15-day disabled list with a sprained right thumb, July 19-August 3...fourth career grand slam, August 22 vs. Seattle...hit game-tying home run in the ninth inning, September 17 vs. Texas...recorded 35 multi-hit games...led American League and tied for Major League lead in outfield assists (19). Had pinch-hit two-run walk-off homer in 10th inning, April 19 vs. Los Angeles (AL)...had 10-game hit-streak, going 18-for-40 (.450), April27-May 9...reached base safely in 20 consecutive games, April 27-May 20...tied career-high with three doubles, May 9 at Texas...ﬁrst career ﬁverbi game, May 20 at Milwaukee...hit .312 (29-for-93) with 19 rbi and nine multi-hit games in May...second career grand slam and tied careerhighﬁve rbi, June 7 at Seattle...third career grand slam, June 10 vs. Baltimore...had eight-game hit-streak, going 9-for-21 (.290), June 15-23...hit game-tying, two-out, rbi triple in the 8th inning off Milwaukee's Derrick Turnbow and later scored the winning run, July 1...hit safely in 9 of10 games, July 29-August 7, including going 3-for-4 with a homer and two doubles August 6 at Kansas City....was 8-for-20 (.400) in ﬁve games,August 13-18...second career four-hit game, August 24 at Baltimore...ﬁnished August hitting .311 (33-for-106) with six home runs and 24 rbiin 28 games...recorded his 100th rbi of the season September 14 at Cleveland becoming the 51st player in franchise history to accomplish thefeat...scored his 100th and 101st run, September 27 vs. Kansas City, becoming the 18th player in franchise history to record both 100 runs and100 rbi in the same season...won Charles O. Johnson Award as Most Improved Twin and Carl R. Pohlad Community Service Award. Hit safely in 6 of 7 games, April 5-13 . . . was 9-22 (.409) in 6 games, April 27-May 4 . . . career-high 13-game hit-streak, going 18-47 (.383), May 9-24 . . . hit safely in 5 of 6 games, going 8-23 (.348), June 12-18 . . . disabled with bruised left hand, July 2-July 17 . . . began rehab assignment with Rochester, July 15 . . . hit safely in 8 of 9 games with an at-bat, going 10-29 (.345), July 27-August 7 . . . first career 2-homer game, August 3 vs. Oakland . . . hit safely in 5 consecutive games, going 5-14 (.357), August 5-12 . . . was 8-17 (.471) in 4 games, September 19-22 . . . first career 4-hit game and tied career-high 4 rbi, September 21 at Oakland . . . had 6-game hit-streak, going 8-23 (.348), September 26-October 1 . . . made 93 starts at third base, 18 in outfield, 6 at second base and 3 at first base . . . was fourth on club in doubles and homers, fifth in hits, tied for fifth in walks, sixth in games . . . established career-highs in virtually all offensive categories . . . had surgery to repair lateral meniscus tear in right knee, October 4. Had 7-game hit-streak, going 8-26 (.308), April 8-22 . . . homered inconsecutive games, April 26-May 2 . . . hit safely in 5 of 6 games, going 8-20(.400), May 17-22 . . . was 11-29 (.379) in 8 games, May 27-June 4 . . . hadgame-winning single in 9th inning, June 8 vs. New York (NL) . . . hit safely in7 of 9 games, June 16-July 1 . . . was 7-16 (.438) in 4 games, July 21-26 . . .homered in consecutive games, July 22-25 . . . tied career-high 3 hits, July 25at Baltimore . . . was 7-18 (.389) in 6 games, August 7-13 . . . career-high 9-game hit-streak, going 13-32 (.406), September 12-20 . . . homered inconsecutive games, September 16-17 . . . established career-highs in virtuallyevery offensive category. Hit safely in 6 of 7 games,going 7-23 (.304),April 11-19 ...had 2-run pinh-homer off Billy Koch,April 26 at Chicago ...career-high 5-game hit-streak, 6-14 (.429),May 1-September 1 ...optionedto May 9 ...hit safely in 5 of 6 games with an at-bat, going 10-20(.500), May 11-18 ...was 13-31(.419)in 9 games,May 19-29 ...disabled with strained left hamstring,May 30-June 15 and July 7-August 1 ...had 11-game hit streak,July 4-August 9 ...had 4-hitgame, August 20 vs.Scranton/Wilkes-Barre ...recalled August 31...had game winning homer,September 24 vs.Cleveland ...hadgame-winning homer in the 11th inning,September 26 at Detroit ...finished tied for sixth among A.L.rookies in triples. Began season at Edmonton . . . season-high 4 hits, April 9 at Las Vegas . . . hit safely in 10 of 11 games with an at-bat, going 17-49 (.347), April 22-May 19 . . . was 13-30 (.433) in 8 games, May 21-29 . . . homered in consecutive games, May 27-29, June 18-19 and June 26-27 . . . had season-high 9-game hit-streak, going 12-37 (.324), May 30-June 8 . . . homered in 4 consecutive games and had 8 rbi, June 4-8 . . . tied season-high 3 rbi, June 26 vs. Salt Lake . . . Twinsb Minor League Player of the Month for June, going 36-113 (.319) with 5 doubles, 3 triples, 12 homers and 34 rbi in 29 games . . . selected to Class AAA All-Star Game, July 10 at Oklahoma City . . . named to Baseball America's Mid-Season Class AAA All-Star team . . . recalled July 12 . . . first major league homer off Jamie Walker, July 20 at Detroit . . . first career grand slam off Dan Wright and tied career-high 4 rbi, August 1 vs. Chicago . . . optioned August 17 . . . hit safely in 8 of 9 games, August 19-28 . . . recalled August 30 . . . career-high 4-game hit-streak, going 6-15 (.400), September 22-26 . . . tied career-high 3 hits, September 28 vs. Chicago . . . rated Best Batting Prospect. second Best Prospect in Pacific Coast League and second Best Prospect among all minor league outfielders by Baseball America. Began season at New Britain...hit safely in 6 of 7 games, going 10-27 (.370), April 22-27...homered in four consecutive games, April 24-27...had 2-homer game, April 27 at Portland...season-high 11-game hitting streak, going 13-36 (.361), May 5-15...had 2-homer game, June 3 at Erie...had 2-homer game, June 12 vs. Norwich...tied season-high 5 rbi, June 28 vs. Binghamton...Twins' Minor League Plater of the Month for June...named Most Valuable Player in Class AA All-Star Game, July 11 at Round Rock...hit safely in 27 of 31 game, July 20-August 19...homered in 3 consecutive games, August 10-12...season-high 4 hits, August 19 at Binghamton...Twins' Minor League Player of the Week, going 10-20 (.500) with 3 homers, August 19-25...batted .356 (53-149) with 13 homers vs. lefthanders...led club in home runs, walks and runs scored, second in doubles and rbi, third in at-bats and hits...was second in league in on-base percentage and extra base hits, third in home runs and runs, fourth in doubles and slugging percentage, and eighth in batting...contract selected, September 18...made Major League debut and doubled off Chuck Finley for first Major League hit, September 23 vs. Cleveland...started 6 of 8 games. Was 9-22 (.409), hitting safely in 6 consecutive games, April 7-13 . . . hit safely in 11 of 13 games, going 17-48 (.354), May 17-June 1 . . . was 12-21 (.571) in 6 games, May 27-31 . . . season-high 3 hits, August 3 at Bowie . . . homered in consecutive games, August 9-10 . . . had 2-homer game and season-high 4 rbi, August 10 at Norwich . . . tied season-high 9-game hit-streak, August 27-September 4 . . . batted .367 (40-109) vs. lefthanders . . . led club in games and at-bats, tied for lead in doubles and triples, was second in runs, hits and walks, and was third in rbi . . . was third in league in games and tied for fourth in triples . . . rated Twins' second-best prospect and tenth-best prospect in Eastern League by Baseball America. Was 19-51 (.373) in 14 games, April 16-29 . . . Twins' Minor League Player of the Week, April 17-23 . . . homered in consecutive games, May 17-18 . . . had 32-game errorless-streak, May 31-July 18 . . . season-high 4 hits, June 11 at Charlotte . . . season-high 5 rbi, July 9 at Brevard County . . . played for Team USA in Futures game, July 11 at Boston . . . season-high 16-game hit-streak, going 22-65 (.338), July 16-August 2 . . . homered in consecutive games, August 19-20 . . . led club in runs, rbi and walks, tied for lead in hits, was second in batting, home runs and stolen bases and was third in games, at-bats and doubles . . . tied for league lead in walks and was fourth in on-base percentage (.403) . . . rated third-best prospect in Florida State League and league Best Defensive Third Baseman by Baseball America . . . played for Grand Canyon in the Arizona Fall League. Game-winning rbi double, April 13 at West Michigan . . . season-high 4 hits, April 29 at Lansing . . . game-winning home run in 12th inning, May 7 vs. Peoria . . . season-high 8-game hit-streak, going 16-33 (.485), May 30-June 6 . . . started in Midwest League All-Star Game, June 23 at Clinton . . . had 5 consecutive multi-hit games, July 19-23 . . . homered in consecutive games, July 23-24 . . . fourth 4-rbi game of season, September 1 vs. Rockford . . . led club in games, at-bats, runs, hits, total bases (224), doubles, home runs, rbi and walks . . . tied for second in league in extra-base hits (56), was fourth in doubles and tied for fifth in total bases . . . was 8-20 (.400) with one homer and 2 rbi in 5 post-season games . . . rated Twins best prospect and fifth-best prospect in Midwest League by Baseball America. December 11, 2015 LF Michael Cuddyer retired. August 10, 2015 New York Mets activated LF Michael Cuddyer from the 15-day disabled list. August 7, 2015 New York Mets sent LF Michael Cuddyer on a rehab assignment to St. Lucie Mets. November 10, 2014 New York Mets signed free agent LF Michael Cuddyer. October 30, 2014 RF Michael Cuddyer elected free agency. September 8, 2014 Colorado Rockies activated RF Michael Cuddyer from the 15-day disabled list. August 16, 2014 Colorado Rockies activated RF Michael Cuddyer from the 60-day disabled list. August 12, 2014 Colorado Rockies sent OF Michael Cuddyer on a rehab assignment to Tulsa Drillers. August 6, 2014 Colorado Rockies sent RF Michael Cuddyer on a rehab assignment to Grand Junction Rockies. May 20, 2014 Colorado Rockies activated RF Michael Cuddyer from the 15-day disabled list. May 18, 2014 Colorado Rockies sent OF Michael Cuddyer on a rehab assignment to Colorado Springs Sky Sox. May 24, 2013 Colorado Rockies activated RF Michael Cuddyer from the 15-day disabled list. May 12, 2013 Colorado Rockies placed RF Michael Cuddyer on the 15-day disabled list retroactive to May 9, 2013. Inflamed cervical disc. October 5, 2012 Colorado Rockies activated RF Michael Cuddyer from the 15-day disabled list. August 19, 2012 Colorado Rockies placed RF Michael Cuddyer on the 15-day disabled list. Right oblique strain. August 16, 2012 Colorado Rockies activated RF Michael Cuddyer from the 15-day disabled list. August 14, 2012 sent RF Michael Cuddyer on a rehab assignment to Colorado Springs Sky Sox. December 20, 2011 Colorado Rockies signed free agent RF Michael Cuddyer. October 30, 2011 RF Michael Cuddyer elected free agency. June 8, 2010 Minnesota Twins activated RF Michael Cuddyer from the bereavement list. June 3, 2010 Minnesota Twins placed RF Michael Cuddyer on the bereavement list. September 13, 2008 RF Michael Cuddyer assigned to Minnesota Twins. June 28, 2008 RF Michael Cuddyer assigned to Minnesota Twins.